Here at Able Locksmiths, LLC the security of our customers is our top priority. We offer a variety of services and products to meet your home security needs. When you’re locked out, call us first! We will efficiently pick your lock to let you back in without breaking any of your hardware. Whatever type of home or residential locksmith services you require, we can handle it. Our expertise includes the installation of high security locks and re-keying all of your house locks. We even install push-button electronic and mechanical locks. Our experienced technicians can also repair and adjust malfunctioning locks. We professionally install doorknobs and deadbolts using industry-leading jigs to ensure that we properly drill your door. Have a broken key in your lock? Extracting broken keys is no problem for our highly trained and experienced residential locksmiths. We install peepholes / security viewers and also help to secure sliding glass doors and windows. We can even install cabinet locks. We’re happy to educate you on the best locks and options to keep you and your family safe. We offer security surveys to make you aware of any security gaps in your home. Your safety is important to us. We sell a full product line of residential grade knobs, levers and deadbolts. We want to ensure that your home is secure and agrees with your personal sense of style. We are a proud Medeco dealer–Medeco is our high security option, which offers the highest standards in pick and drill resistance and patented key control. This is as close to an un-pickable lock as you can get! We also install and service home safes and vault doors. 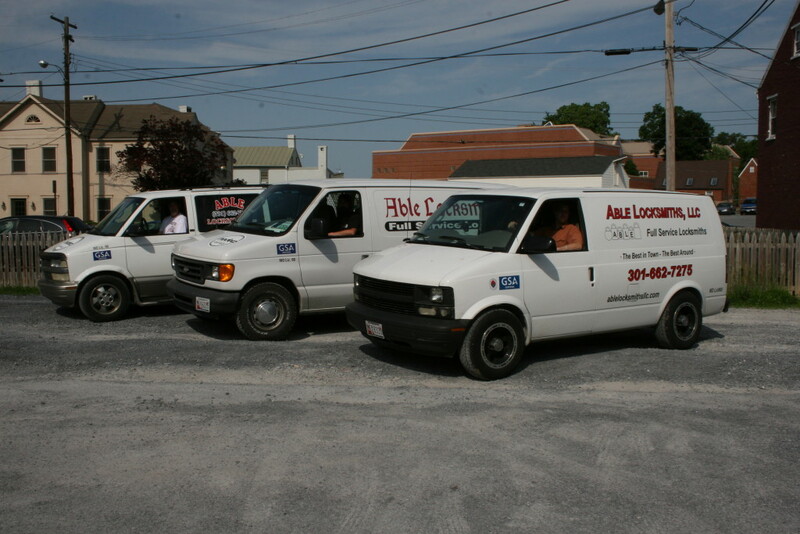 Able Locksmiths, LLC is proud to offer the highest quality locksmith services for homeowners and businesses in Frederick County and surrounding areas Including.